I was an anti-pencils person. It was all about fluid media, like oils, acrylics, watercolors. I tried watercolor pencils. They are alright, but the tones seemed very faded. And adding water didn’t seem to activate the colors. On the contrary, it just washed them off and then I had a light layer of color with the traces of my own pencil underneath. Maybe I haven’t tried the right brand, I don’t know. But then came the revelation of Polychromos. Intense colors that do look good on the scans and photographs. Bingo! 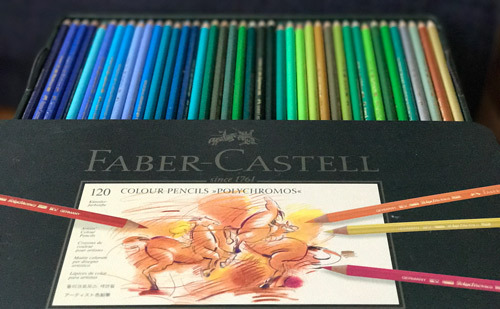 The majority of the pencils I have tried have either one or both of the following problems: 1) the colors are not intense enough (too dusty, or too pale) and 2) the pencil tip is too hard and requires a lot of effort in order to achieve a decent opaque layer on the paper. And then, after so much work, the color becomes shiny and does not take additional pencil layers if you try to blend in extra colors. .
For example, I like the Derwent colors because I think the dusty color palette looks actually really nice on dark colored papers, and they are indeed very smooth and easy to apply. 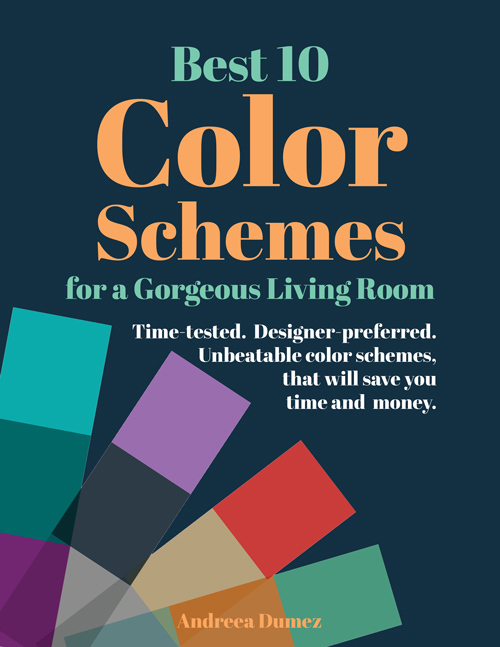 But I also wanted some bold colors. Here are a few examples of how the pencils would look on paper. 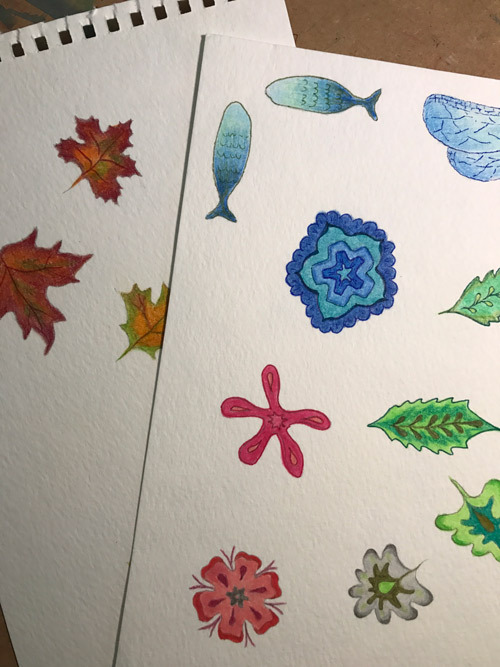 I worked on a paper surface that is not necessarily the best for colored pencils, but I will talk about this in another post. Each paper has its advantages and disadvantages. The nice trick about colored pencils is that they can be also blended with a blender. The classic pencil blender is the paper tortillon, but I discovered some nice solvent-based blenders that I enjoy using. I found an Artist’s Loft blender at Michael’s and I think it does a pretty good job. I also like it because I can use it to smooth out the colored surface, so that the pencil traces disappear and the surface looks smooth, with no white spots. I got a few of them, because the tip tends to retain the color in it, and contaminates the next surface, if it is a different tint. So I use one for blue colors, one for reds, etc. The pen has a double tip, one that is larger and softer, and one that is smaller and more rigid. 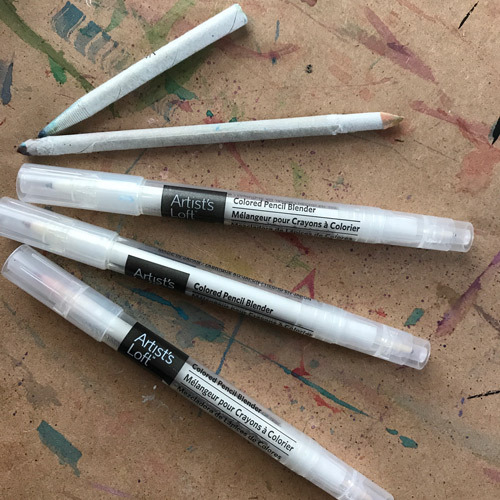 In any case, they are good for small surfaces, especially when I am adding shades in pencil, over a watercolor painting (used on large surfaces, they kind of dry out fast, and they are a little pricy, too, so that can add up). Another blender that I discovered is a Copic blender. This is actually an improvisation of mine, because this is supposed to be a blender for Copic markers. But it does work on pencils!! I discovered it accidentally. And it lasts a long time. 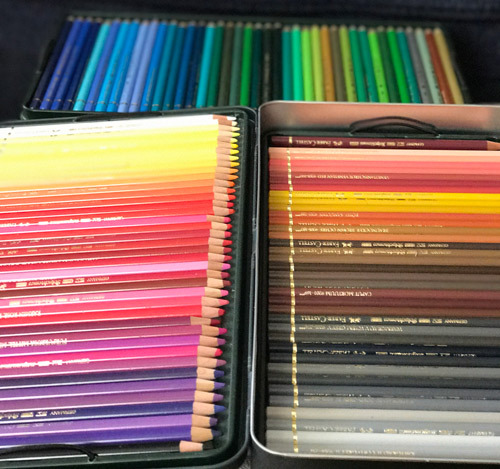 It really does a very good job on blending the pencils, and it has bigger tips on both sides, so it covers more surface, too. I would say that the Artist’s Loft brand works better on fine details and Copic does more of a heavy duty job. And then, of course, there is the Prismacolor Blender, which I enjoy playing with. But this is a dry blender, so do not expect it to help spread the color on the paper and remove that gritty pencil-on-paper effect. I do like that effect, but not all the times. It depends on what projects I work on.